Fundamental to his idea are two 1980s Supreme Court cases: NCAA v. Board of Regents and NCAA v. Tarkanian. In 1984, Oklahoma and Georgia successfully defeated the NCAA in a court case that banished the NCAA’s power to regulate TV. 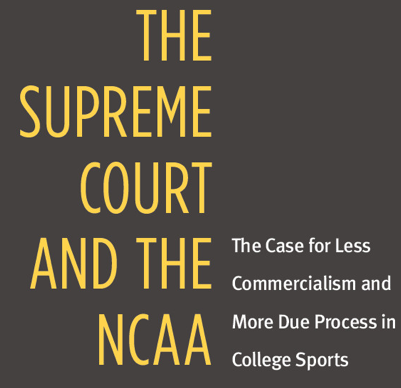 Universities could now do it on their own, and the decision led to the commercialization of college sports that is rife with problems today. In 1988, the NCAA won against Tarkanian, giving it the power to investigate and punish members without regard to due process. It’s very popular to criticize the NCAA right now and argue for its dismantling. It’s also popular to hold onto the unicorn of early twentieth century B.S. Yale, Haahhhvard amateurism. Porto takes a contrarian route that fits in the middle. Rather than ditch amateurism, he provides constructive opportunities for helping save it. Through congressional action, he proposes giving antitrust exemptions back to the NCAA with regards to decisions that furthered an educational mission. Porto would like the NCAA to have a hand in the regulation of TV deals. That would mean no more Tuesday and Thursday night games for instance and would hopefully tone down some of the revenue machine that has allowed people like Nick Saban to make $6 mill. As part of the compromise, the NCAA would have to allow its members due process. I’ve been without television or internet (at least at home) for the month of August. For the most part, it’s the only way to fly. But I did have to scrape the bottom of the barrel for an endorsement this week. Still, I’m gonna go with a podcast that really is worth listening to — this Jack White interview from an episode of WBEZ’s “Sound Opinions” earlier this month. In all honestly, I’ve never been a huge Jack White fan. I appreciated the White Stripes, enjoyed a couple songs, but that was about it. 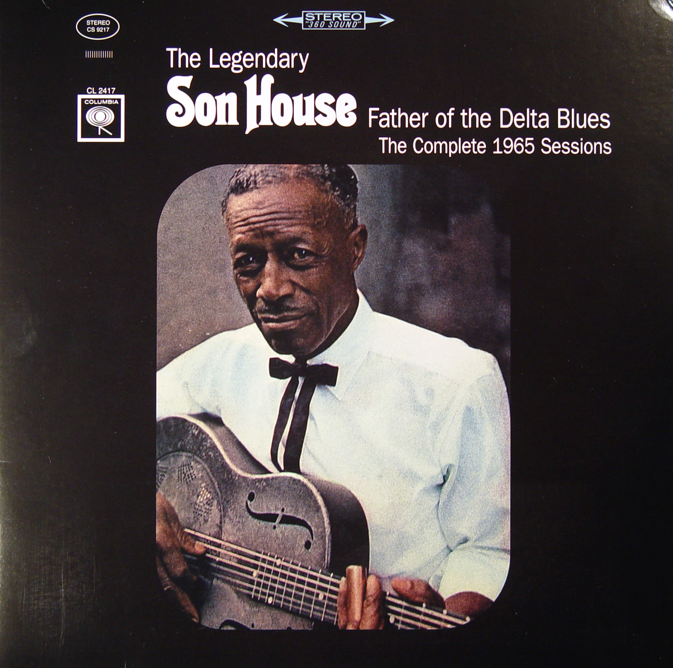 The interview is a good listen, though, if for no other reason than it introduced me to this song: “Grinnin’ in Your Face” by blues pioneer Son House.